When the going gets weird, the weird head north. Where else can you pay good money to freeze yourself (almost) to death, order a cocktail with a severed human toe, or spend a night in a haunted prison cell? On my two-year quest to discover the best experiences in Canada, these were the quirkiest. 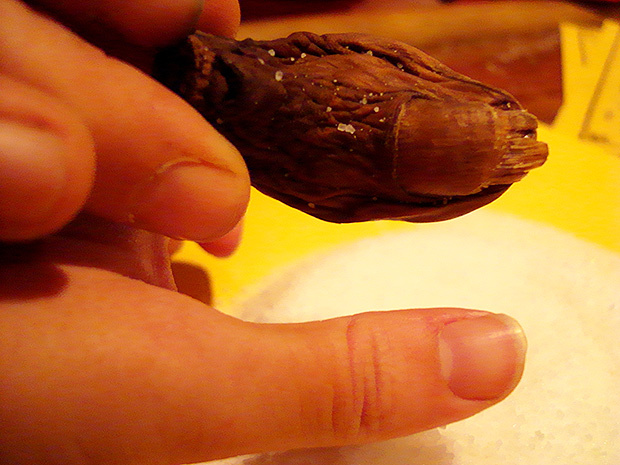 Dawson City’s Downtown Hotel bar in Yukon, Canada serves up a cocktail with a severed human toe. Since adding the drink to the menu in the 1970s, more than 60,000 people have joined the Sour Toe Cocktail Club. Preserved in a jar of salt, the donated appendage is dropped into a glass of local bourbon, and is, admittedly, a little jammy on the high notes. Drink it fast, drink it slow, but either way, your lips must touch the gnarly looking toe. Try not to swallow it (as some patrons are wont to do), or face a $2500 fine. Flash freezing yourself almost to death comes with a range of medical benefits: it’s good for muscle pain, arthritis, hormonal imbalances, and the appreciation of survival. Sparkling Hill is a glitzy spa resort in British Columbia’s interior that offers North America’s only cold sauna. Wearing nothing but bathing suits, gloves, and booties, you’ll spend three minutes in a tiny, monitored room at a balmy -166ºF. 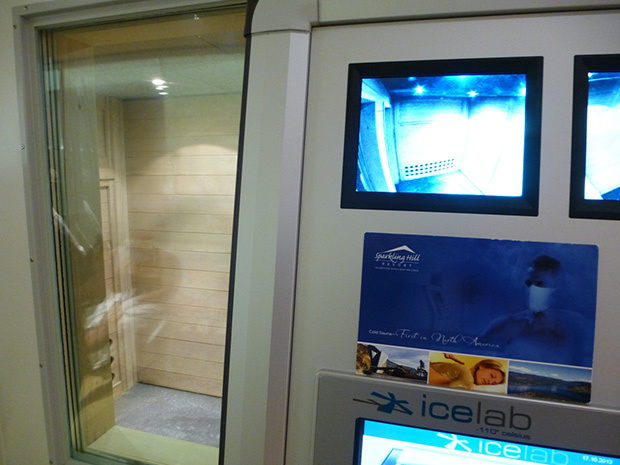 Seven minutes at this temperature could kill you, but the high-tech spa system should give you nothing to sweat about. Venomous Australian snakes will attack if you even look in their direction, but Canadian snakes are pleasantly polite. Which is good news for those visiting Manitoba’s Narcisse dens, the largest concentration of snakes anywhere in the world. 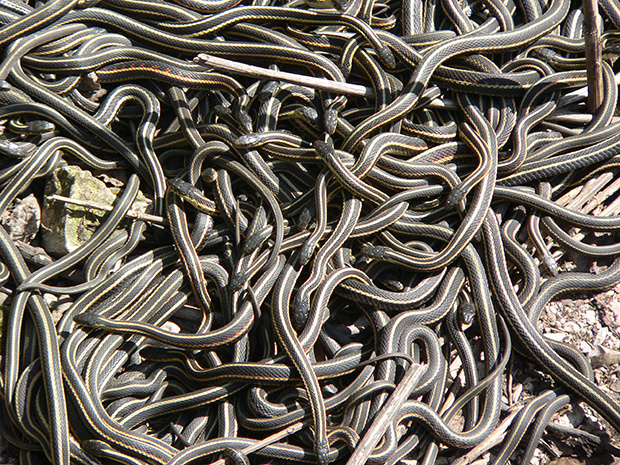 Each spring, tens of thousands of red garter snakes emerge from their dens in a mating ritual frenzy. You can pick them up, say hello, make a live Medusa wig. Just be gentle, watch where you step, and remember to smile, eh? For over a century, Ottawa’s Carleton County Gaol incarcerated the city’s most notorious villains. Known for its filth and brutality, the prison was finally shut down in 1972 due to inhumane conditions. The following year it reopened as a youth hostel, and has been locking up budget travelers ever since. 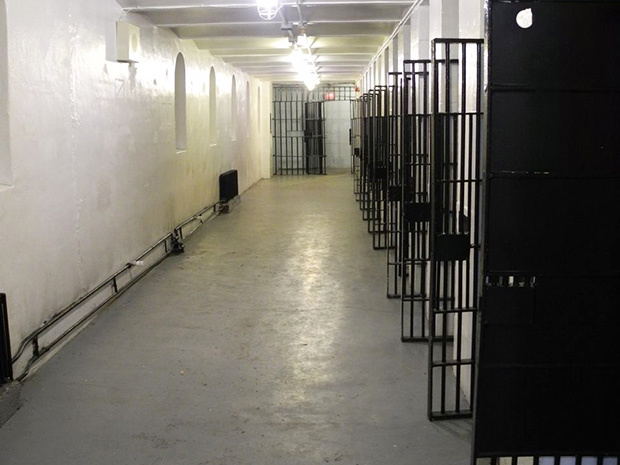 Take the nightly ghost tour on Death Row before heading to your dorm cell. Those screams and groans in the middle of the night are probably just your imagination. Probably. 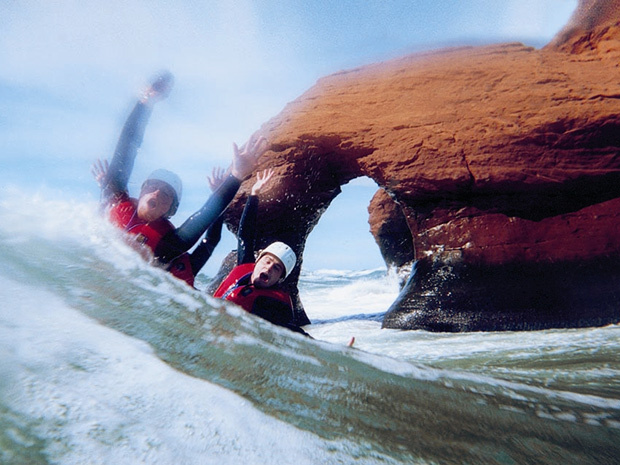 Nova Scotia’s Bay of Fundy boasts the world’s highest tides, with waters reaching as high as 50 feet. 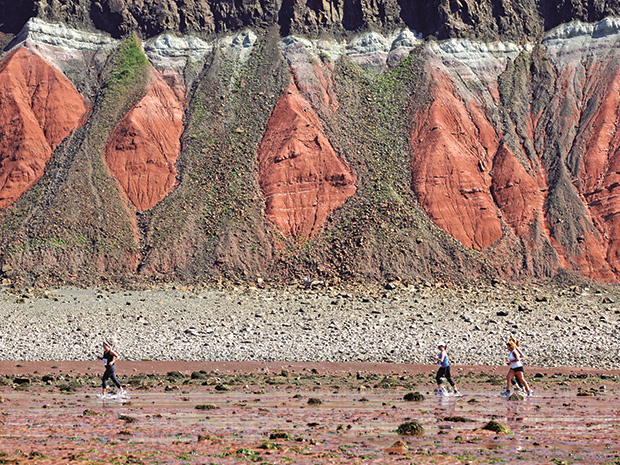 Perfect for a fun run along the sea bed, competing not only against fellow runners, but also the 100 billion tonnes of the Atlantic rushing into the bay. Not since Moses have we run against the power of the ocean, although this appropriately-named annual race concludes far more agreeably, with BBQ and cold beers. You’ve heard of the Dead Sea, where tourists float effortlessly in water eight times saltier than the ocean. 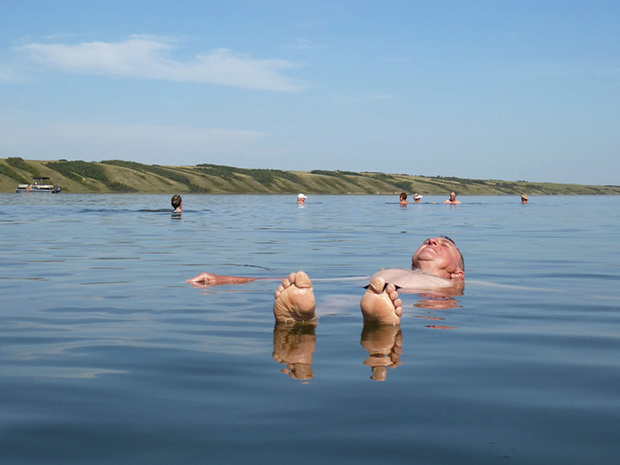 Few outside of Saskatchewan know of North America’s equivalent, Little Manitou Lake. In this evaporating lake, with water three times saltier than the ocean, you'll be buoyant enough to read a newspaper during a dip. Bonus points for the scenery, hot springs, and free therapeutic mud, yet to be marketed as overpriced cosmetic gold. Tired of yoga sessions in sweaty rooms, staring at the crack of the hairy guy in front of you? 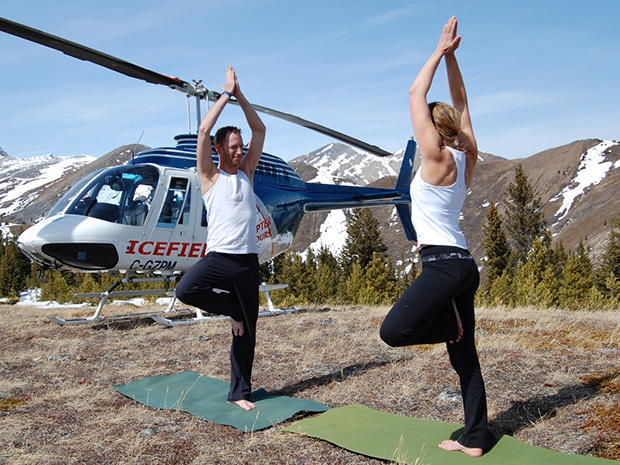 With the aid of a scenic helicopter flight, a certified yoga teacher and naturist leads yoga classes high up on the peaks of the Rockies. You could hike there, but then who would have the energy for a tree pose? It can, however, be difficult to focus on your breath when the scenery around you takes it away. Who wouldn’t nama-wanna-stay up here? Technically, this wet activity on Quebec’s gorgeous Magdelan Islands is called Cave Swimming. Don a thick wet suit, jump into the crashing waves of the freezing Atlantic, and allow them to smash you against the red cliffs that surround the archipelago. Remarkably, the waves buttress your impact, washing you in and out of crevices and sea caves. It looks, and feels, like you shouldn’t survive such an onslaught, and yet this commercially operated adventure is mostly harmless. 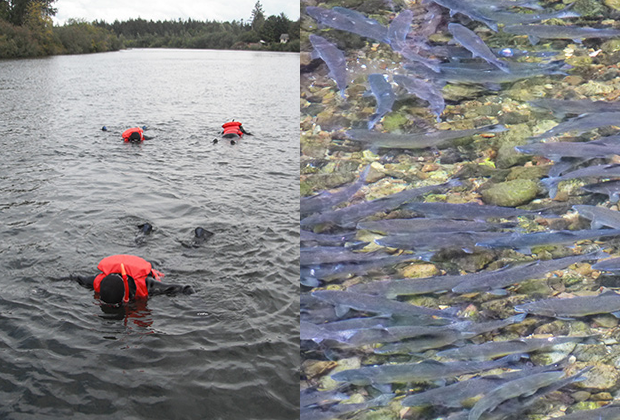 Annual migrating salmon are among the natural wonders of the Pacific West Coast. To fully appreciate the scale, get underwater in Vancouver Island’s Campbell River. Floating downcurrent, you’ll see hundreds of thousands of salmon swimming upriver to breed and die (circle of life, and all that). Surrounded by glimmering walls of pink, coho, chum, sock-eye, and huge king salmon, you will never look at sashimi the same way again. Drive deep into Saskatchewan’s prairies, and you’ll stumble across a forest right out of Tim Burton’s imagination. 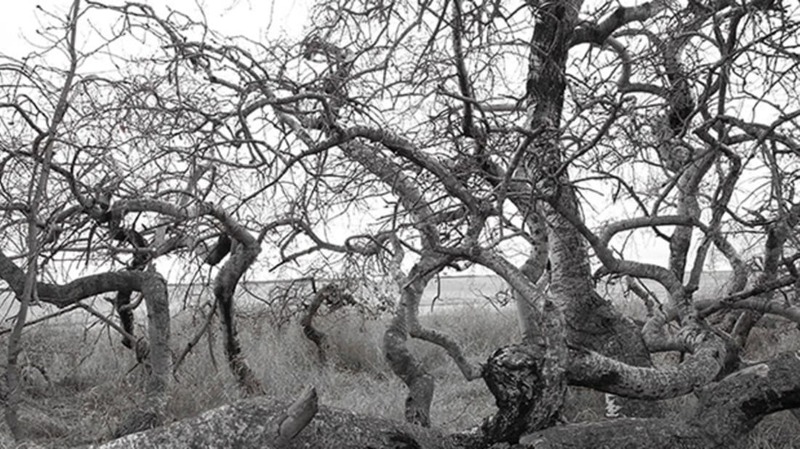 Wild aspen trees typically grow straight, but a mysterious genetic mutation has resulted in “Crooked Bush”—a twisted, gnarled, and supposedly haunted grove. Spider-leg-like branches extend over a wooden boardwalk, which draws curiosity-seekers from around the country. Some locals believe aliens are behind this unnatural forest, but then again, aren’t aliens behind everything? 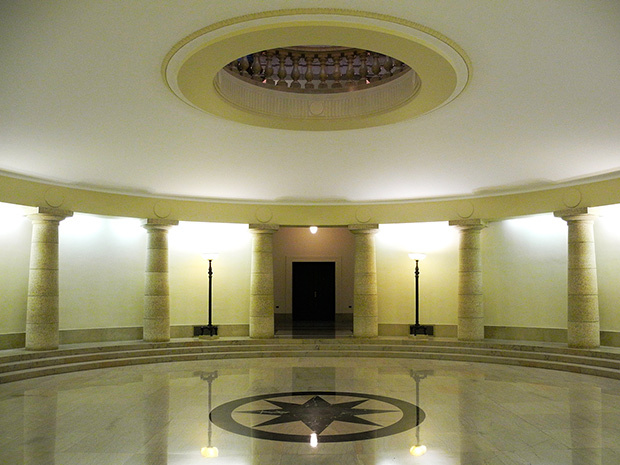 This is the Pool of the Black Star in Winnipeg’s Legislature Building. A cool name, with a weirder story. Every person involved in the construction of this imposing government building was a Freemason, directed by a master Freemason who integrated hidden symbols, esotoric secrets, and ancient mysticism into the design. A local academic spent ten years decoding this Hermetic Code. His guided summer tours unravel a real-life Da Vinci Code that will shake your architectural foundations. Stand directly on the Black Star, speak up, and feel the power of Hermes. Global thermonuclear war. The world turns to ash, and is populated by radioactive zombies. Deep beneath the Ontario countryside, 500 chainsmoking bureaucrats work hard to restore Canadian glory. 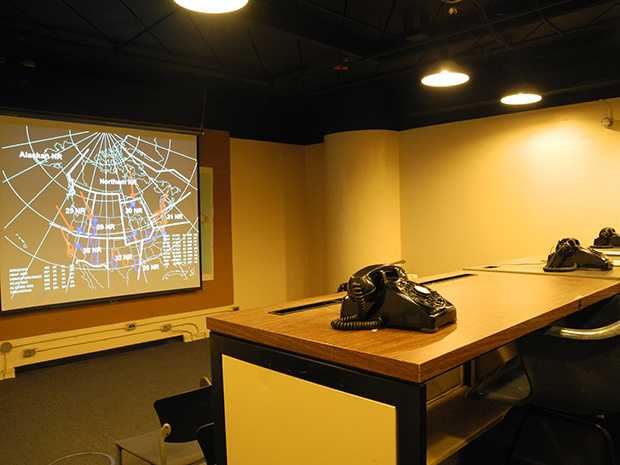 This was the vision behind the Diefenbunker, a top-secret nuclear missile shelter built in the 1960s with a goal of safely relocating members of the Canadian government. With its own canteen, hospital, CBC studio, offices, sleeping quarters, and War Games-like control rooms, no prime minister ever visited it save for Trudeau, who promptly slashed its operating budget. Decommissioned in the 1990s and re-opened as a Cold War Museum, today you can rent out the bunker for parties, weddings, and the inevitable zombie apocalypse.